Look, I didn’t like Mandy okay. Yes, I know that heaps of film buffs, critics, reviewers and 2018 Top Ten Youtube lists liked it. Yes, I was super excited about watching it. Yes, it is artistic and interesting in parts and it’s the kind of film that people who know about film seem to like. BUT I DIDN’T LIKE IT OK?! Having said that – it’s not truly terrible by any means. 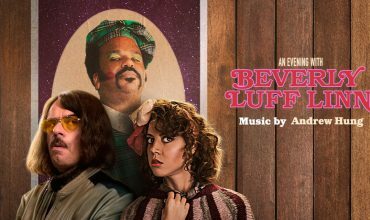 It’s the kind of thing that has definitely found it’s audience – both a strong critical reception and audience reception. From the outset Mandy sounds like every second Nicholas Cage film from the past 10 years or so. “The enchanted lives of a couple are brutally shattered by a nightmarish hippie cult and their demon biker henchmen, propelling a man into a spiraling, surreal rampage of vengeance”. As far as the film’s storyline goes – it does exactly what it says on the packet. It’s weird, it’s surreal, it’s brutal. It’s Cage. But I didn’t like it. Is it me? Maybe it’s me. Don’t get me wrong – Mandy has some seriously nicely shot moments of beauty. 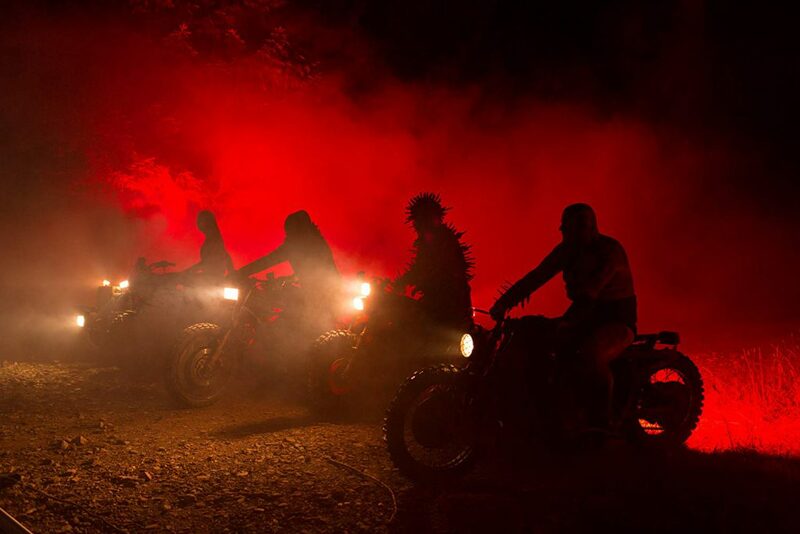 Director Panos Cosmatos knows how to do some truly interesting things. 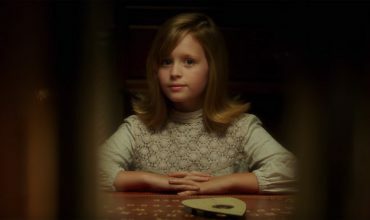 There is a particular scene (that goes on way too long) which portrays a drug trip where the film is seemingly layered over itself but slightly out of time and it is a stunningly presented scene of unease and disorientation. The forest setting itself is shot with a mysteriousness and almost cartoonish sense of beauty, depth and wonderment. The eerie tone present from the very beginning is extremely captivating. These are all great aspects of the film. 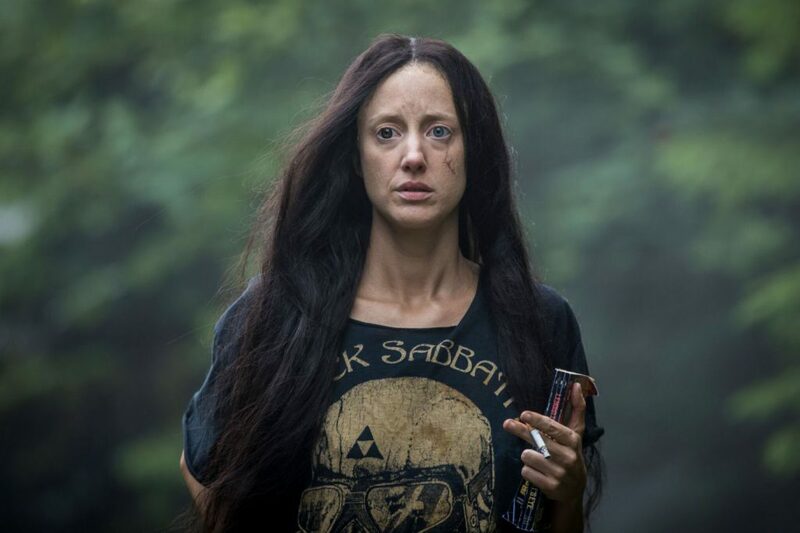 Mandy almost feels as though it is two completely disconnected parts – the love story between Cage and his frighteningly haunting co-star Andrea Riseborough sets the scene. The film then descends into a nightmarish cat, mouse and dog chase between Cage, those who took his beloved Mandy and the weird, 80’s looking demons (that have little to no explanation) that stand in his way from getting true revenge. For me, these differing aspects of the movie don’t fit together. You can’t just throw ultra-violence at a bumbling storyboard and call it a movie. The style and aesthetic changes are so jarring that it honestly felt like the entire crew quit halfway through filming. 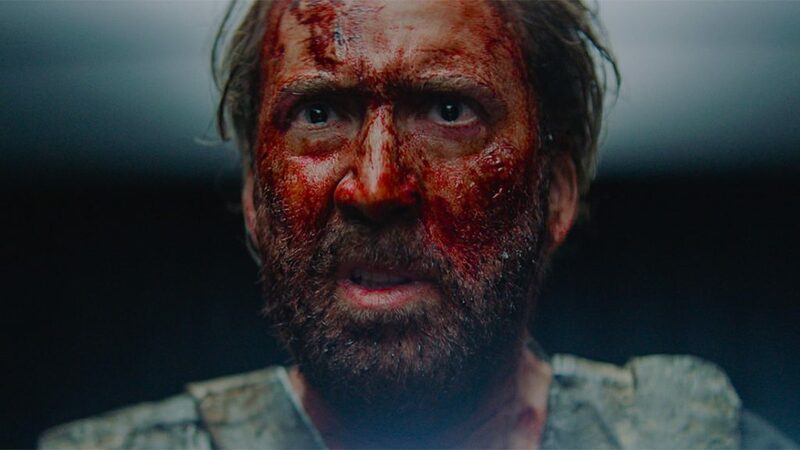 Perhaps this was a stylistic decision to make us feel the madness Cage was going through – a clever if obvious analogy for the decaying human mind as it suffers great loss and tragedy? Perhaps it was genius. I don’t care. I didn’t like it. Mandy is Cage in his true form. Shouting, bleeding a lot, wide eyed, mad. Some people were waiting for this. Wait – when was Cage ever NOT doing this? He’s always wide eyed, mad shouting and bleeding a lot. But sometimes the film he’s doing it in is exceptional. Sometimes it’s rubbish. The one thing that is consistent is Cage. Here, what he’s doing works. It’s like a badly put together 80’s heavy metal video where Cage is the singer which some of you probably think sounds amazing and if you do then you will probably, like the majority of people, like this movie. It looks bloody great on blu-ray. It sounds bloody great on blu-ray. Cage is Cageing bloody great on blu-ray. But I didn’t like Mandy. Have I explained clearly and coherently WHY I don’t like Mandy? Perhaps not. Is that frustrating? Perhaps so. Do you like this review despite the fact it feels like it’s the ramblings of a mad man whose vision isn’t quite clear from the outset but it’s visceral and bizarre enough to be enjoyed regardless of it’s ridiculous content? Yes? Well. Then you might just like Mandy.